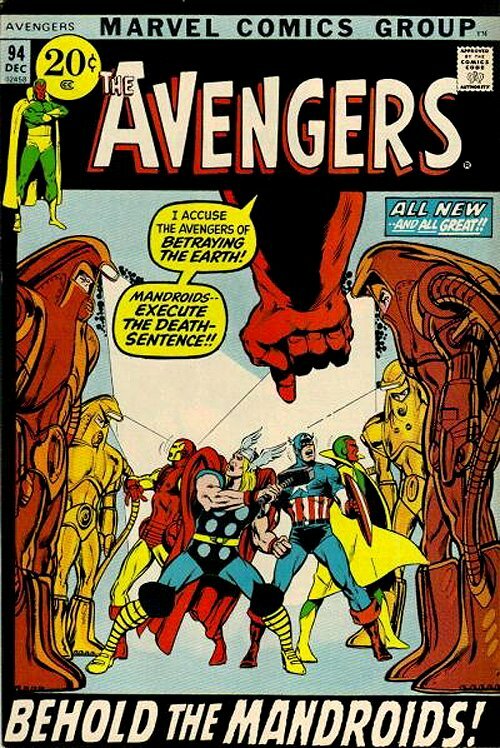 Click Here To See Avengers #94 Comic Book! 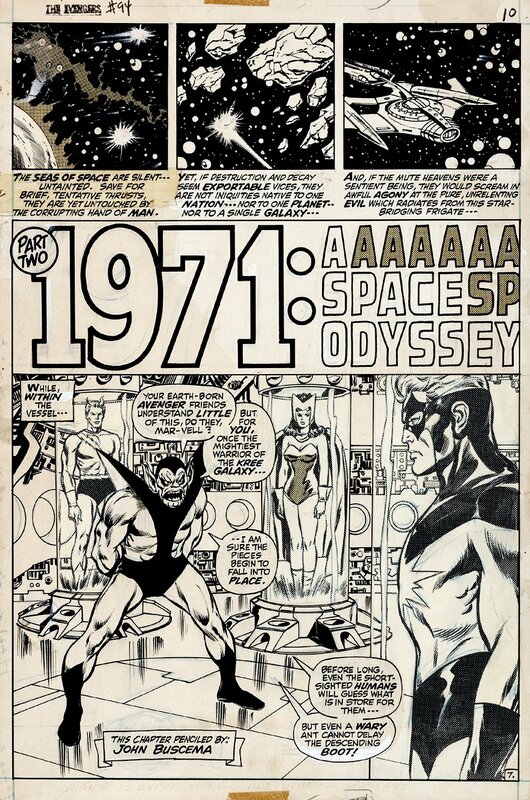 Check out this very nice, very KEY 1971 AVENGERS SPLASH, which was penciled by the great John Buscema, and inked by the equally great Tom Palmer, from the story titled: "1971: A Space Odyssey!" Marvel's classic Kree-Skrull War storyline remains a highlight of the early Bronze Age. This cosmic tale with an enormous cast of characters originally appeared in Avengers #89 through 97. This half-splash page from Avengers #94 features Quicksilver and the Scarlet Witch, along with Captain Marvel and the evil Super-Skrull -- it's a Bronze Age beauty if there ever was one! The art is in ink over blue pencil with Zipatone shading film on Bristol board! ALL art on our website (including this one) are able to be purchased with VERY fair time payments, and trades are always considered towards "ANY" art on our website! Just send us an email to mikeburkey@aol.com and we can try to work something out.